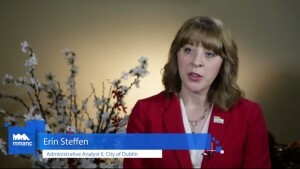 Hazel L. Wetherford is the Assistant to the City Manager for the City of Dublin, where she oversees contract administration and negotiations, emergency operations and disaster preparedness, waste management, budget, fiscal analysis, animal control, and serves as the legislative liaison and military liaison on behalf of the City Manager's Office. She has been with the City since 2011. 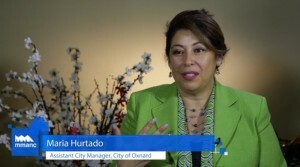 Hazel began her public sector career in the California State Legislature before accepting a position in the City Manager’s Office with the City of Brentwood in 2004. 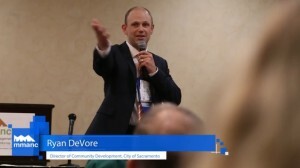 In 2011, Hazel went to work for the City of Dublin, California as a Senior Economic Development Analyst where she oversaw the economic incentive programs for the city among many other programs and projects. In 2014, Hazel served as President of the Municipal Management Association of Northern California, and has been awarded the Municipal Management Association of Northern California’s President’s Award (2011) and the Rising Star Award (2012). Hazel holds a Bachelor’s degree in English from the University of California, Davis and a Master of Public Administration degree from the University of San Francisco and has 12 years of experience in local government administration. When she’s away from City Hall, Hazel enjoys reading, riding her motorcycle and spending time with her family.